Audiologist Lisa Richmond (right) consults with a patient about the options available to him to treat hearing loss. (COLUMBUS, Ohio) – Columbus Speech & Hearing Center (the Center) is pleased to announce it has received a $100,000 grant from The Columbus Foundation, with special support from the Albert J. and Eve G. Pfeiffer Fund of The Columbus Foundation. These funds will support the Audiology & Hearing Aid Services program at the Center, allowing for a state-of-the-art upgrade in audiological testing equipment. The Center estimates that roughly one in three people between the ages of 65 and 74 has hearing loss―a condition that can lead to additional concerns like depression and dementia in older adults. The equipment upgrade allows audiologists at the Center to have access to the latest in audiological technology, ensuring the best and most up-to-date support for more than 3,500 audiology clients who receive services at the Center each year. Columbus Speech & Hearing Center continues to strive to be the recognized leader providing personalized service and caring attention to help the people it serves achieve their full potential. Since its founding in 1923, Columbus Speech & Hearing Center has provided quality, patient-centered care for individuals with communication and vocational challenges in the Columbus metropolitan area and beyond. The Center offers many unique services in the realm of speech-language pathology, audiology, vocational rehabilitation and community education. It is proud to offer a warm and welcoming environment to all people. For more information, visit www.columbusspeech.org. The Columbus Foundation is the trusted philanthropic advisor® to more than 2,000 individuals, families, businesses, and communities that have created unique funds to make a difference in the lives of others through the most effective philanthropy possible. Serving the region for 70 years, The Columbus Foundation is the seventh largest community foundation in the United States. The Foundation’s online giving marketplace, PowerPhilanthropy®, makes it possible for everyone to access valuable information about nonprofit organizations in central Ohio. The Foundation’s GIVING STRENGTH framework informs its competitive grantmaking program. Through it, the Foundation seeks to impact a broad spectrum of community needs to improve the quality of life for central Ohioans. Columbus Speech & Hearing Center (CSHC) is pleased to announce it has received a $25,000 grant from the Ingram-White Castle Foundation of The Columbus Foundation. These funds will support the Speech Therapy Early Intervention program at the Center, which provides individual therapy for children with communication disorders, and group treatment which focuses on social emotional learning and development opportunities for children. Both programs are essential components in ensuring children can successfully participate in academic and social settings. True to its mission of unlocking potential for individuals with communication and vocational challenges through all stages of life, the Speech Therapy Early Intervention program provides critical speech-language and social support for children with speech delays and other communication disorders. The grant helps CSHC continue to provide these critical services for all children, including those from households who rely on donor and grant support. The Ingram-White Castle Foundation, which was founded in 1949, is still operated by the Ingram Family today. The Foundation’s mission is to provide physical, educational, emotional and spiritual nourishment to those who hunger for knowledge, independence and self-sufficiency. Recognizing that everyone benefits when we lend a helping hand to those who currently cannot help themselves, the Foundation invests with stewardship, seeking significant impact for those who yearn for a better life. The Foundation has awarded over $22 million in grants to support programs that serve disadvantaged students and help them achieve academic success. A trip to the toy store isn’t so simple (or cheap) these days. Parents and kids are flooded with nearly every kind of toy imaginable—from trucks with loud sirens, dolls that talk, balls that flash, and tablets that do everything under the sun. Sometimes these toys can be fun, but they’re not always worth the expense. 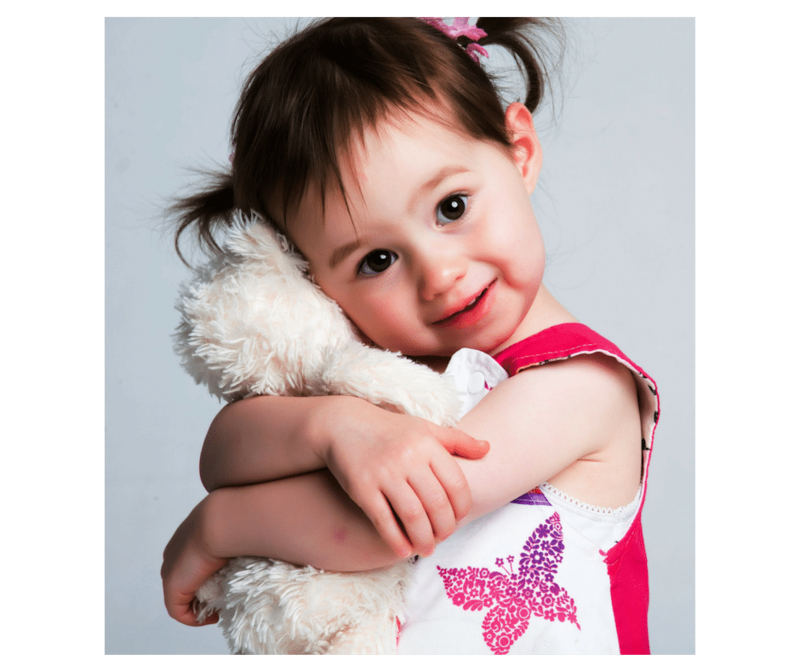 And noisy toys in particular can be sneaky hazards to young children’s hearing health. The most important function of toys is to allow children to express themselves, use their imagination and discover new things. Here are some tips on how to make the most out of toy time with your kids. Pick toys without batteries, lights and sounds. Research shows children communicate less when playing with electronic toys. Find or make toys that your child is interested in and play at their level. Some children like to taste toys. Some like to put things inside containers and some like to pretend. Toys can be used in a lot of different ways—not just how they were made to be used. Let them put blocks in the microwave, throw stuffed animals in the air, or put Mr. Potato Head parts in the wrong places. Sometimes the best toys are household or outside objects. Strainers can be fun bath toys or be used to put dry spaghetti in. Laundry baskets can be used as a car, boat or a place to hide under. Leaves can be blankets for a doll, and pine cones and sticks can be drumsticks. Research shows that when there are fewer toys available to a child, they become more creative in finding different ways to play. It also increases their attention span. Rotate a new set of toys every month or two to change it up. Also, be aware that things like background TV noise can decrease attention to toys. Ding dong! Is that the bell? The school bell? Classes are starting across the country and that includes your kindergartener who you can’t believe is growing up so fast. Luckily there’s never a bad time to make a trip to the library or bookstore to find new books to enjoy with your child. Here are the five titles loved the most by our speech-language pathologists, with some tips on how to make reading time more educational for each one. The iconic story of this snackin’ caterpillar is one that kids of all ages remember and enjoy. Not only does the book introduce children to the basics of a caterpillar’s lifestyle, it also includes many fun examples of food vocabulary that you can practice with your child. See if they can point out “strawberry,” “pickle,” or “plum.” This story is also great for sequencing, with its use of days of the week, and counting, with its use of numbers for each type of food that the caterpillar eats. Another favorite with great illustrations and good vocabulary examples, The Little Mouse, The Red Ripe Strawberry, and The Big Hungry Bear is a fun story with lots of potential learning activities. In the story, the mouse does a lot of things to try to hide his strawberry from the bear. Ask your child to draw a picture about one of the things the mouse did and write a sentence that tells about their picture for a fun sentence generation activity. This classic Ukrainian folktale, retold by author and illustrator Jan Brett, is a recurring favorite with children receiving speech therapy at CSHC. Young readers are introduced to several new animals including a fox, a badger and a mole. In addition to the great animal vocabulary, there are many creative activities that can be done with this story. Examples include: cause and effect (cause: The mouse tickled the bear’s nose. effect: The bear sneezed.) and sequencing practice. Use this activity to practice retelling the story! The title says a lot about the plot of this story, using synonyms to teach your child to describe something bad. Like the other titles in this list, learning activities can include cause and effect, sequencing, and vocabulary. Most importantly, though, children are introduced to the concept of a bad day, how someone might act who is having a bad day, and how they can help make someone’s day better. Toys, toys, toys! Not only can they be used for play, but also for teaching and preparing your child for school. 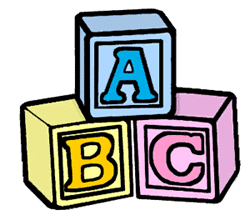 There are all kinds of expensive educational toys available in stores today, but sometimes all it takes are the classics to introduce young kids to the basics of vocabulary, language concepts and following directions. Did you know that 26.4% of Ohio children ages 0-5 are living in poverty? We’ve made it our mission to help all children be ready for school, because early language development is crucial to a child’s cognitive development and later success in life. …and any other words you want to teach or spell! This block is on the table. This block is under the chair. The ‘A’ block is in the back of the pile. The ‘C’ block is in the front of the pile. I’m holding the block up. This block is in my lap. I took the ‘D’ block out. You have more than me. That tower is as tall as you! We have the same block! I have less blocks than you. You can also use these basic vocabulary and language concepts to practice simple directions! Put the block in the shoe. Who doesn’t love bubbles? Here are ways you can turn play time into a bubbly learning session! Look how shiny it is. The wand is close to your mouth! I put the wand in the bottle. That bubble is going up! This one is bigger than that one. This bubble is the biggest. This one is floating low. This bubble is going down. Look how big this one is! This bubble is moving slow. This one is not big. And, like the blocks, you can practice following directions with the new vocabulary and language concepts. 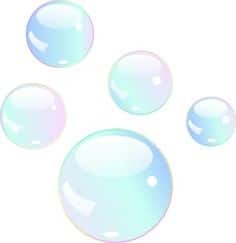 Give me the bubble wand, then tell me what you did. Baby dolls, Barbie dolls, action figures and GI Joe dolls are all great ways to practice words and concepts that relate to the human body. The doll’s hair is messy! Uh oh, the doll’s face is dirty. This baby needs a drink. GI Joe wants to eat. Let’s have the doll walk over here. Do you want to hold the baby? I’m going to brush her hair. Let’s wipe this spot off. We need to change this diaper. Why don’t you sing to the baby? I just gave the doll a kiss! I think it’s time to wash her. Give the baby a kiss. Pat baby on the back. Put the doll to sleep. Take the baby’s dress off. Maybe it’s that antique house you had as a child or the modern house or play building that kids love today, play houses are wonderful for language development! Take the car out of the garage. Put Daddy in the car. Put the baby in bed. Old MacDonald has more up his sleeve than just E-I-E-I-O! 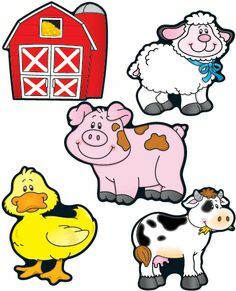 Use the animals to make learning fun. Put the cow in the barn. Put the chicken on the fence. The dog runs around and around. The horse jumps over the fence. Make the chicken go to sleep. Don’t have these toys? These are only some of our favorites, but the same kinds of lessons can be taught with all kinds of other toys! Get creative and help your child enjoy play time in an educational way. Let us know your thoughts and successes! Columbus Speech & Hearing Center welcomed sunshine and 120 golfers at The Lakes Golf and Country Club for the 11th Annual Great Communicators Golf Classic. The fundraiser, which directly benefits the Center’s efforts to provide speech therapy, audiology, and career services for central Ohioans in need, raised well over its goal of $100,000 for the cause. More than 43% of the speech services provided by the Center directly benefit families at or below the poverty level in central Ohio. Additionally, the Center works closely with the Franklin County Office on Aging’s Senior Options program and the state’s Opportunities for Ohioans with Disabilities (OOD) agency to provide services for central Ohioans in need. Distinctive at this year’s event was the extensive offering of silent auction items, including a VIP Heart of Africa Safari Tour at the Columbus Zoo and Aquarium, as well as an exclusive raffle opportunity to golf at Muirfield Village Golf Club and Scioto Country Club. Attendees were also treated to a reception, hosted by former 10TV anchorwoman Angela Pace and Cameron James, of Mills James Productions. Top level sponsorship support of the Golf Classic was provided by OhioHealth and The Robertson Group at Morgan Stanley, who each served as Gold Event Sponsors to support the Center’s mission. The families of Columbus Speech & Hearing Center thank our Gold Event Sponsors: OhioHealth and The Robertson Group at Morgan Stanley; Silver Team Sponsors: Acoustic Ceiling and Partition, Archall, Benesch, Columbia Gas of Ohio, Elford, Inc., Equity, Equity Construction Solutions (ECS), GBQ Partners, Huntington Private Bank, Nationwide, OPOC.us, Plante Moran, Safelite AutoGlass, and White Castle System, Inc.; and Bronze Associate Sponsors: AEP Energy, BakerHostetler, Bruner Corporation, and Washington Prime Group. CARF International announced that Columbus Speech & Hearing Center has been accredited for a period of three years for its Community Employment Services (Employment Supports, Job Development) and Comprehensive Vocational Evaluation Services programs. The latest accreditation is the 14th consecutive Three-Year Accreditation that the international accrediting body, CARF, has awarded to Columbus Speech & Hearing Center. Columbus Speech & Hearing Center is a not-for-profit organization with offices at 510 E. North Broadway. It has been providing Community Employment Services and Comprehensive Vocational Evaluation services in the Columbus area since 1971. For additional information, contact Jamie Noon at (614) 263-5151.